If your teeth are in need of some work, or if you are concerned about your dental hygiene, a trip to the dentist may be in order. We can often be quite impatient, though, and will often want to see results as soon as possible. Quite often, however, dental procedures can take a long time meaning it can be a while before results are achieved. What’s more is that it can also be time-consuming and will often require multiple visits. This, among other things, can make people reluctant to go to an aesthetic dental clinic, meaning they don’t get much needed dental work done. Thankfully, though, modern techniques and equipment mean that not only can jobs be done quicker, but also that fewer trips are necessary. The latest procedures also mean progress is faster overall, meaning you reach the desired effect quicker. 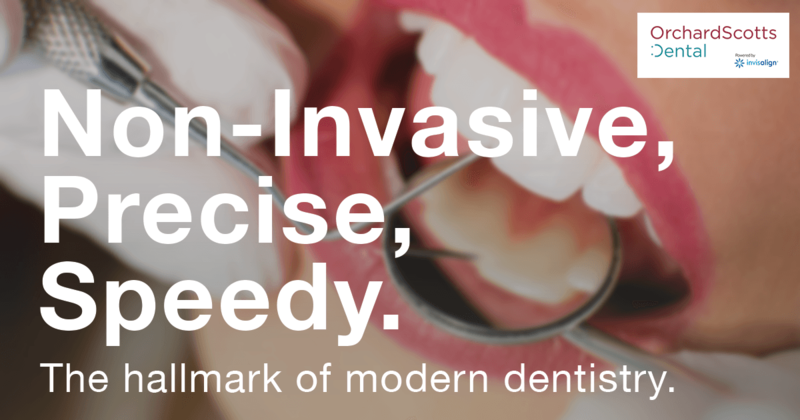 Here’s a look at some ways in which dentistry work is now faster than ever before. In order for a dentist to understand what needs to be done and put a plan of action in place, they will need all the information they can get regarding what’s happening in your mouth. They will need detailed information on how each tooth is positioned, the condition it is in, and how improvements can be made. In the past, this would mean taking moulds from which they could create a model of your mouth and teeth. While these models were reasonably accurate and were very helpful to the dentists, they were not without their drawbacks. Once the mould had been taken, it was then necessary to have the model constructed from it. This would often mean sending the mould away and it could take days to maybe a couple of weeks before the model was completed and returned. In some cases, the model will be faulty, and the process will need to begin again. Thankfully, though, the latest in 3D scanning technology like the Itero Element has streamlined the process considerably. 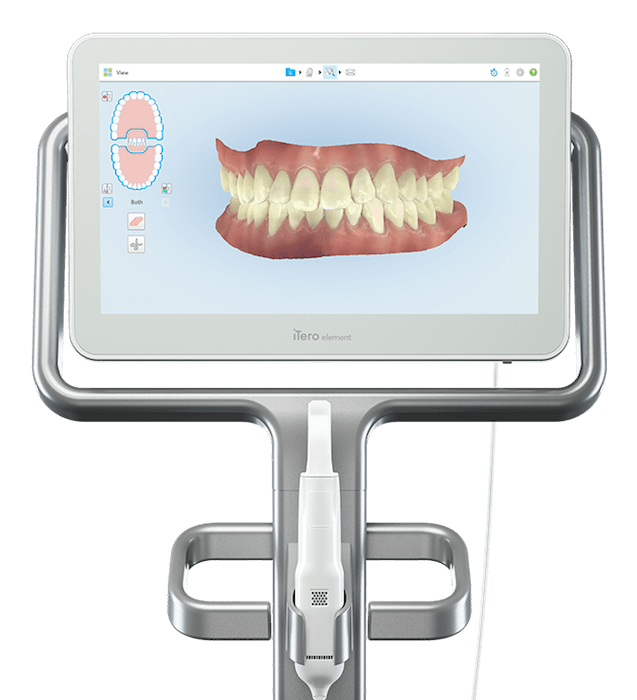 Scanners can take an image of the mouth in just a few moments, and in precise accuracy. The image can be created digitally in just moments using high-tech software, and this digital 3D model can then be used for planning and designing procedures. No more waiting and risk of inaccuracies. Retainers and clear aligners such as the Invisalign system work by gently applying pressure to the teeth to guide them to grow in a certain way. This means that the teeth and mouth will, by design, change shape over time. 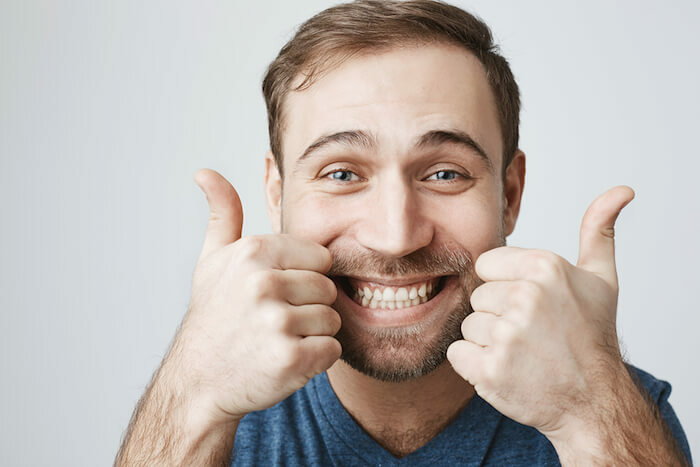 The changing shape of the mouth and teeth could mean more moulds and more waiting around for new models to be delivered, further extending the length of time the treatment will take. With 3D scanning, however, new scans can be taken of the mouth easily and, as with the initial scan, software will take over to streamline the procedure. New aligners can then be produced so much quicker, shortening the process overall. Armed with state of the art scanners and sophisticated software, dentists are now able to put together far more detailed and comprehensive plans. This means that they are able to more precisely plan each stage of the treatment, from the beginning to the end. Being able to plan ahead in this way helps to make teeth aligning with clear aligners far more convenient. When using the Invisalign system, for example, the dentist is able to provide you with a series of aligners for different stages of the process. Every one or two weeks, discard your old aligner and replace it with a new one that takes you on the next step of the journey. Not only does this help make treatment more effective, it also means fewer trips to the dentist. While using traditional retainers would mean visits every 3-4 weeks, with Invisalign clear aligners they are only required every 6-8 weeks. One of the biggest factors involved in the progress of traditional retainers would be that people simply did not keep them in. While some styles are fixed into place, others can be removed, and often are. The unsightliness and discomfort of traditional braces meant that people would be reluctant to put them back in, during which times they would have no effect at all. This is particularly problematic in younger people that might be more concerned about their appearance in front of others. 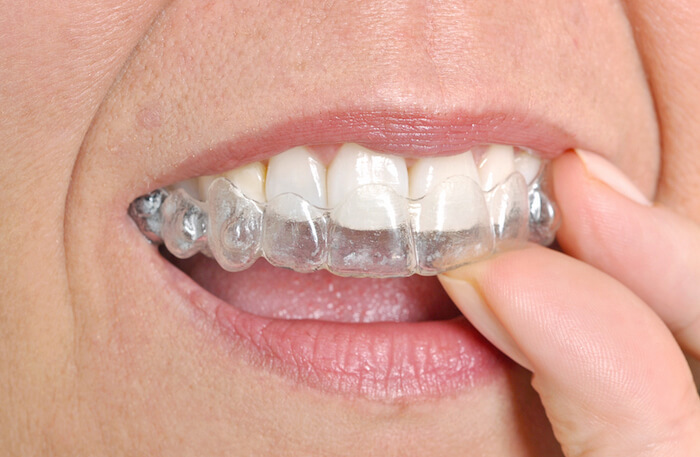 Invisalign clear aligners, however, are virtually invisible, meaning people are far more likely to leave them in. They are also more comfortable, again encouraging people to put them in and making them less likely to remove them in the first place. This helps to make sure the process of aligning the teeth goes as quickly as possible. Drinking, eating and smoking means that tooth enamel can become deeply ingrained with tiny particles that stain the teeth. Because the particles are so deeply ingrained, removing the stains is more difficult than simply brushing or flossing. Instead, various chemicals and procedures were needed that would help get the teeth white again. Not only were they not entirely effective, they could also take a long time to work. Nowadays, however, the teeth whitening process provided by an aesthetic dental clinic can be completed in a single sitting. High tech gels can be used that contain ions that attach themselves to even deeply ingrained particles. These ions can then be activated with LED light technology that enables the ions to break down the particles, removing the stains in the process. While with older techniques it could be weeks or even months before there was any noticeable difference, we can now get bright white teeth in less than an hour. New technology means that dental implants and dentures will often fit perfectly at the first time of asking. This in itself reduces the need for return visits. Whats more is that they are also more comfortable and less likely to irritate the soft tissues of the mouth, helping to prevent complications occurring at some point in the future. As well as being better fitting, modern dental implants and dentures are also made of advanced materials that reduce pain and discomfort. The materials are also longer lasting meaning that once fitted, your implants will be as good as new for many years to come. 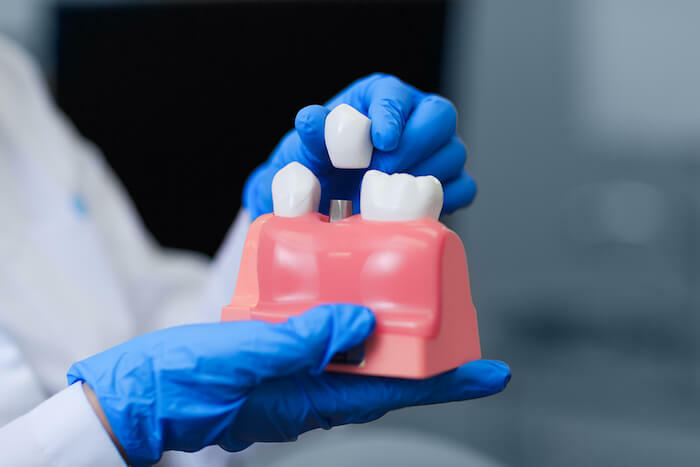 At Orchard Scotts Dental, we use the latest methods and highest quality materials from Straumann to help ensure your dental implant procedure in Singapore goes as quickly and smoothly as possible. Feel free to contact us for more information on what we can do for you and the processes involved.